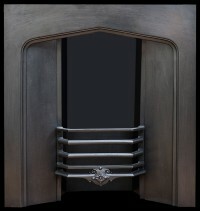 With Victorian workmanship and high-calibre materials, our register grates have stood the test of time and will undoubtedly augment your home. 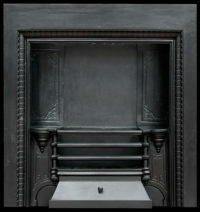 Added to that, as our fireplaces have all been expertly restored, they will continue to look fabulous for years to come. 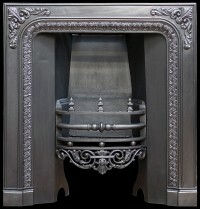 Buying an antique fireplace is also an investment opportunity as they will at the very least hold on to their value, as good quality and long-lasting products are always in demand. 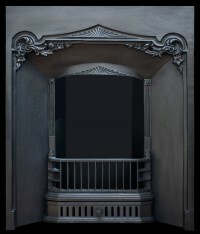 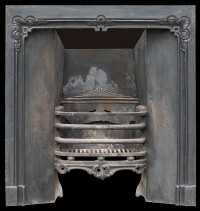 These fireplace grates were popular in both the Regency period and the Victorian era, after being invented by an American, Count Benjamin Rumford. 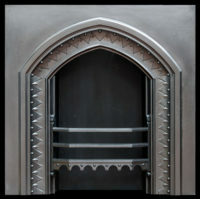 In order to deflect more heat from the fire back into the room, he angled the sides of the grate, known as the cheeks, making it much more efficient. 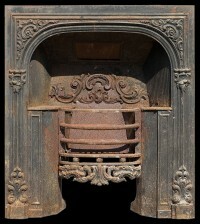 There is nothing more pleasing on a cold day than to warm yourself by an open fire, and as a bonus these sturdy grates are striking as well as functional. 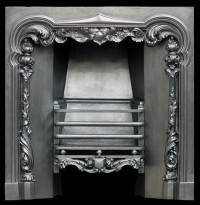 We are very experienced in the restoration and fitting of antique and vintage fireplaces, and we have a wide range of grates to suit all tastes. 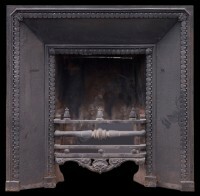 We stock the earliest examples of this type of grate, for example, this beautiful Regency grate from around 1840. 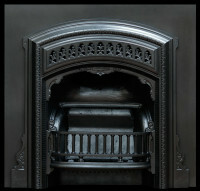 Our Victorian era grates range from this high-quality, cast-iron example to a later Victorian Gothic piece. 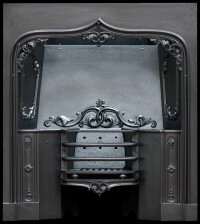 If you would like to buy an original fireplace that is attractive as well as made to last, we can help you choose the right one to enhance your home.